Today’s centrifuges are more sophisticated than ever. Consequently, customers can find platforms that fit right into today’s wide range of centrifuge applications. In fact, Nick Horsley, general manager at Hettich Instruments in Beverly, Massachusetts, says, “Centrifuge accessories have become very important.” Those accessories can help a lab select a system that can multitask. Many centrifuge customers want the capability of processing more samples in less space. Peter Will, centrifuge product manager at Labnet International—a part of Corning Life Sciences located in Edison, New Jersey—explains: “Customers are asking us to keep the footprint of centrifuges small but increase the capacity, by redesigning rotors to accommodate more tubes.” In many cases, that spawns advances in benchtop devices. “Many people want the capacity of a floor-model unit of the past but in a benchtop style,” says Will. Click here to read more from Lab Manager Magazine. Read more about the MIKRO 185 on the Hettich website. Now researchers can take detection of fluorescent markers in small animals to a new level with the iBox Explorer 2 Imaging Microscope! 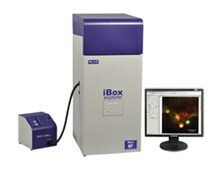 The iBox Explorer 2 is unique in its ability to view macro to micro in the whole animal to individual cell, subcutaneously and within the body cavity of mice. The upright optics provide an ultra long working distance and high numerical aperture (NA) for detailed fluorescent in vivo imaging. I have a J2-M1 centrifuge and after spinning, I cannot remove my rotor (JA10). I have tried removing when still cold and at room temp. Any tips on how to remove a stuck rotor? Advise this member. Latch does not open and gives E-24 error. Have 2 of these units with the same problem. Is it likely just the latch assembly or might there be another component needed. The latch assembly is expensive Advise this member. I have a Sorvall TechnospinR benchtop model that has stopped working. On switching on the error code 02 appears in the display. Any help with this info? Advise this member. The overwhelming majority of past and present imaging systems use a lens to focus the subject of interest, even today's super-resolution light microscopes that breach the diffraction limit through ingenious experimental methods. Lensless imaging offers the prospect of a radical improvement in resolution by reconstructing a high-resolution image of an object from one or more diffraction patterns. Read more. Made with a durable glacier white, powder-coated tubular steel frame, ergonomic handle, and four-inch diameter non-marking casters (two with toe locks), these carts are easy to steer and absorb vibration for smooth, quiet trips over rough, uneven floors. The 19" wide frame fits easily through most doors and narrow corridors. Read more. Their name represents the merged product lines of Isles Industries, Advance Engineering, and Computer Furniture & Accessories (CF&A)—all well known names in the technical furniture industry. They've merged the best of each these companies to create a synergy of design and quality that surpasses their individual strengths. Their sole mission is to improve the organization, function and atmosphere of theirr customers’ production and assembly work areas, inspection stations, and research laboratories. Read more. Visit the IAC Industry website to see their full product line. I have a Micromax RF that has a defective braking mechanism. It arcs under load and blows the fuse. Is this repairable? Does anyone have a wiring diagram so I can figure out how to disconnect the brake? Advise this member. I am getting a D11 Drive Error on an Avanti J30I centrifuge. There was a recent power outage before this error was observed. Does anyone know of a repair code to enter to clear this error. If relavent, is there a pre-code that must be entered? Advise this member. There are dark spots in field when i use filters, in bright field no problem, I checked all filters and lenses every thing is fine please help. Advise this member.